Bulls legend Scottie Pippen on decision to retire: "If I had anything to give, I’d leave it here"
"To win our first championship against one of the greatest franchises in the history of our game was a great feeling,” Pippen said of the Bulls' world title over the Lakers in 1991. October 5, 2004 -- Following the official announcement of his retirement, Scottie Pippen and Bulls GM John Paxson met the media at the Berto Center after the team’s first official training camp practice this season. Pippen, 39, played in 1,178 games and averaged 16.1 ppg, 6.4 rpg and 5.2 apg and 1.96 spg during an illustrious career that placed him among the NBA’s 50 Greatest Players of all-time in 1996 and brought the Bulls six NBA World Championship titles. “I’d like to thank everyone for coming today to recognize Scottie. I think back to one of the greatest moves that the Bulls ever made was the day Jerry Krause made the draft day deal to get Scottie. We all benefited from him wearing a Bulls uniform and all the things he did. Every player’s career comes to an end, but it is always sad when the great ones decide to hang it up. I just want all of our fans to know how much Scottie has meant to our organization and to everyone who has been around him. He’s been a model of consistency as a player and a wonderful teammate. I tell people all the time; you go and talk to all the guys who played with him, they’ll all tell you that he was their favorite teammate--if not their favorite, one of the top two. He was that type of guy. Without question, you’ve accomplished a lot in your career. Is there a single greatest regret that you have as you leave the game? Do you have a single greatest memory? What will you miss about the game and do you see yourself winding up with a front office job? How does it feel when you look back to being on the greatest basketball team ever assembled? How was it to win your first NBA title in 1991? Which championship was the most special to you? 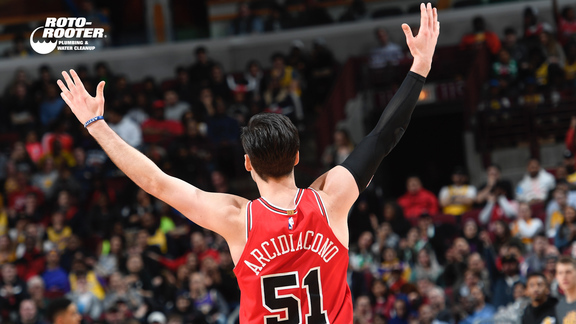 What are your thoughts on the future of the current Bulls team? You say that you’re going to stick around training camp for awhile. Do you feel like you’ve left something behind or do you just want to help? Are you 100 percent retiring? Did you ever consider playing for the Miami Heat this season? A lot of people suggest that you wouldn’t have accomplished everything you did without Michael Jordan. How do you react to that? Have you looked into coaching? How long do you plan on sticking around throughout this training camp? Do you think you can help Luol Deng develop into being a good player? What’s your read on the team that John Paxson has put together for this season? Have you thought about getting your number retired eventually over the last few days? You’re one of the final guys from the championship teams to leave the game. Does that give added meaning to this?